Class parties are always a fun way to end the year and celebrate the holiday season. As a school counselor it can be a little difficult since we see several kids at different times throughout the week. I find my self having 2 day long parties in order to celebrate with all of my students or doing little things with kiddos individually or in small groups. 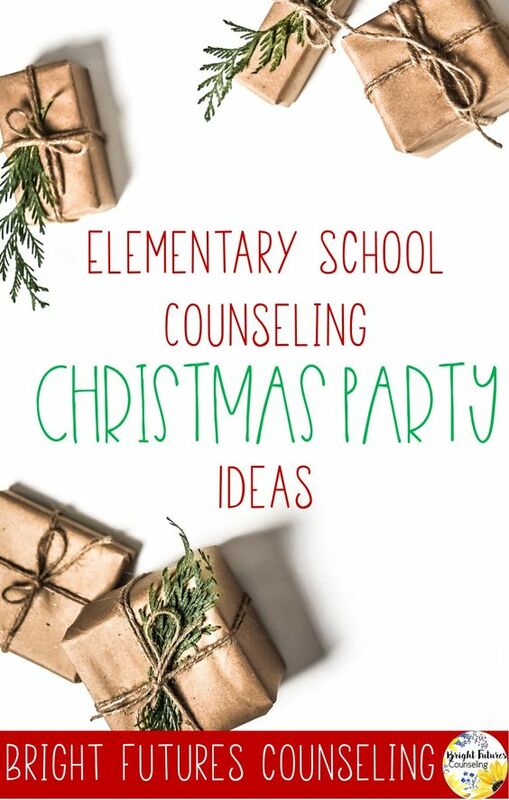 These 5 Christmas/Holiday themed activities are a fun way to reinforce key counseling concepts with a seasonal twist! 1) Create Self-Esteem Ornaments- You can buy these clear plastic ornaments for super cheap at the dollar store or order them online here. Have students write self-esteem statements and then put them inside the bulb. Students can take them home and remember how awesome they are every time they see it on their tree. 2) Create Christmas Trail Mix - I like this recipe I found on Pinterest. If you omit the white candy coating it is super easy. Have students share as they assemble their bags. Popcorn - Name something that you are good at. Marshmallows - Name something that makes you smile. Pretzels - Talk about a favorite holiday memory. M&Ms - Talk about a good choice you made today. Sprinkles - Name a goal that you want to achieve next year. 3) Self-Control Board Game - I created this game to discuss possible scenarios and self-control strategies with these fun elves! 4) Dress an Elf with I-Statements - This activity is fun to do on the iPad or as a cut and paste project. I created it specifically with small groups in mind! 5) Snowman Goals - Students can set friendship, academic, and behavior goals for the new year with this fun snowman foldable I created.